Today's top IT security vendors are running dynamic content marketing programs that identify and address trending issues in security communities across the web. With a myriad business demands to worry about, stepping back to see the bigger picture isn't always easy. 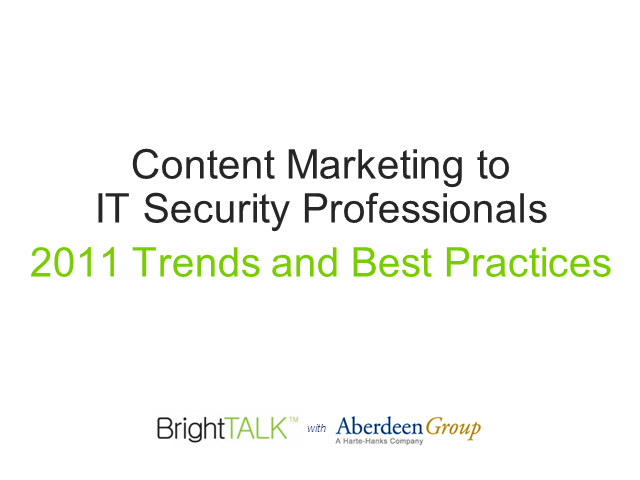 Join Aberdeen Group and BrightTALK as they share 2011's top-performing content in the IT security community and discuss best practices for creating an effective content calendar in 2012.